At the rate Apple is going, it may very well be the last maker of consumer electronics to introduce a smartwatch now that a hardware maker from China is readying its own device set to unveil later this month. The Wall Street Journal's Digits blog has the word that Huawei is preparing to enter the smartwatch scene during this year's Mobile World Congress, which kicks off in Barcelona, Spain on February 24. A Huawei spokeswoman declined to elaborate on details of the company's smartwatch plans. She also stayed tight lipped on a new smartphone and two new tablets that are also set to be shown at MWC. One thing's for sure however - the smartphone Huawei plans to announce won't be a sequel to the Ascend P6. Instead, the company will hold a separate launch event for its next-generation flagship handset. 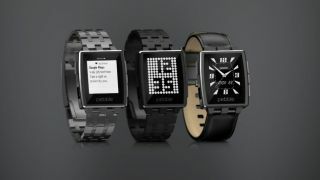 The burgeoning smartwatch market continues to make headlines, with Sony, Pebble, Samsung and others duking it out amidst rumors that Apple will soon jump into the fray with its own Bluetooth-connected wearable for the wrist. Although Huawei is ranked third behind Samsung and Apple as a major player in the global smartphone market, the Chinese vendor has little brand recognition for anything but networking gear outside its home turf. Huawei took the wraps off a video game console called the Tron at last month's CES, but now plans to follow rival Chinese manufacturer ZTE into the wearables market. Ironically, smartwatches appear to be a "market" in name only thus far: Canalys recently claimed a mere 500,000 such devices would ship globally last year, but expected that figure to mushroom to five million in 2014 - assuming major players like Apple, Google and Microsoft decide to join in. Get a glimpse of what the Samsung Galaxy S5 might have in store for us!